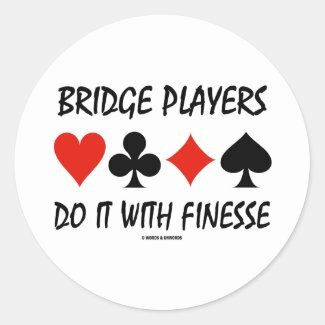 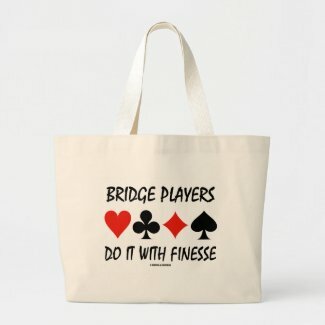 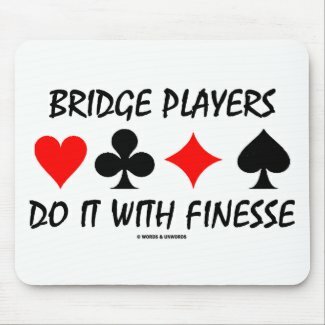 Do you know how to finesse at the bridge table? 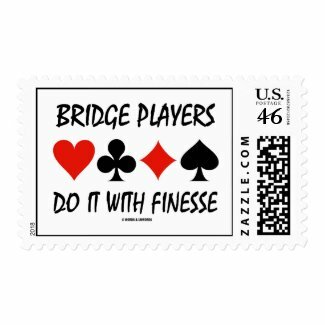 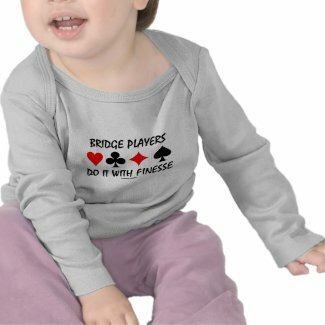 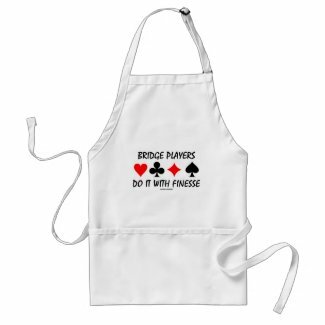 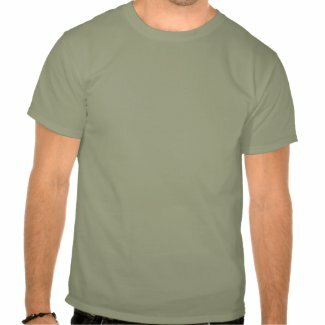 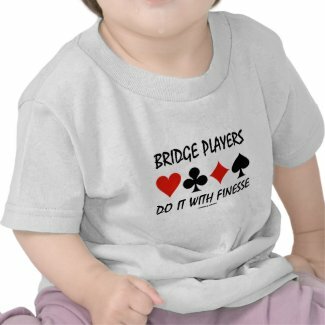 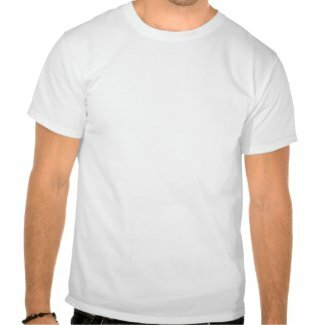 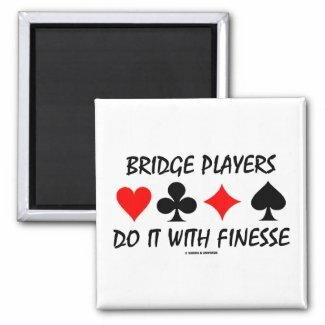 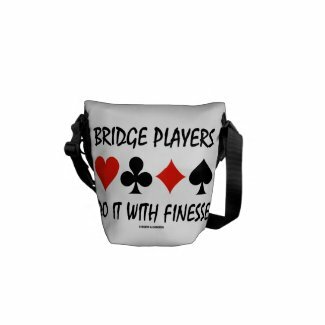 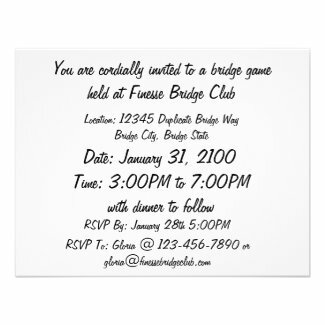 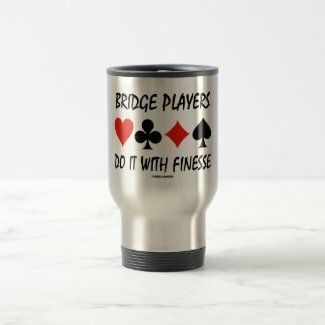 Showcase wry suggestive duplicate bridge humor with any of these gifts featuring the four card suits along with the saying "Bridge Players Do It With Finesse". 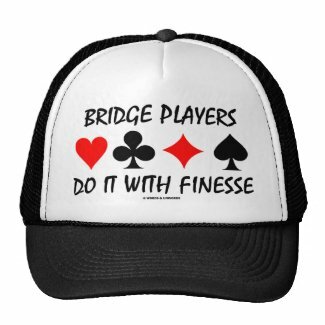 Double-entendre fun for all bridge players at the bridge table!